Audi has introduced a new Sport edition of its popular R8 sportscar to mark the entry of ‘Audi Sport’ sub-brand at the 2017 New York Auto Show. It will be available for pre-booking worldwide starting from early May. 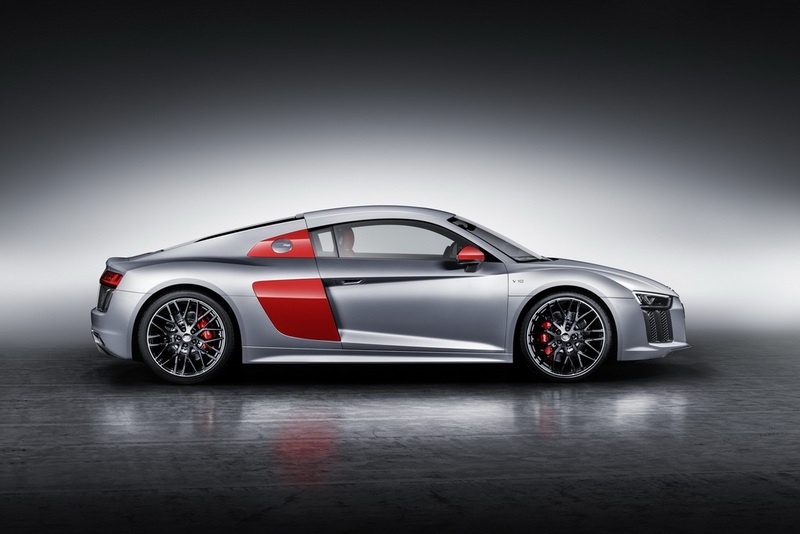 Underlining its exclusivity, only 200 units will be produced in limited numbers and each will have the distinctive colour scheme that includes silver, red and black combination – the signature colours of Audi Sport. Customers will have the option to choose other paint jobs as well but the side mirror casing and side blades will always be finished in contrast red. There have been plenty of design elements added to enhance the overall appeal of the R8 Sport limited edition over the standard model. They include inclusion of titanium black front splitter, trapezoidal tail pipes finished in glossy black trim, single frame grille and diffuser insert, etc. The 20-inch forged aluminium rims have Y-spoke design and they are wound by a 245/30 front and 305/30 rear tyres. 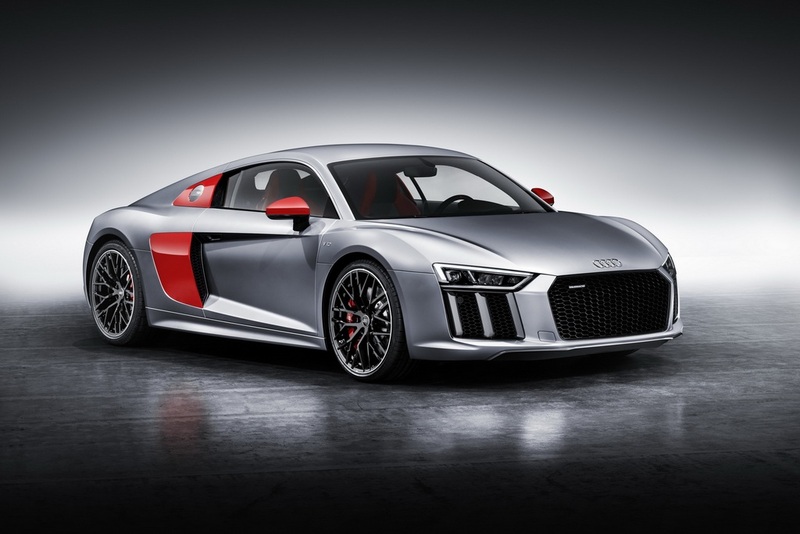 On the inside, the privileged customers will be treated with Audi Sport label, illuminated sill trims, Nappa leather seats and door trims with express red and black combination to substantiate the sportier stance. The R8 emblem gets printed on seat backrest and there is a dark silver contrast stitching with gloss carbon trim. The driver will have the luxury of manipulating the exhaust flaps and performance mode through buttons and rotary switch. The R8 Sport special edition can be calibrated based on the surface conditions as Dry, Wet and Snow are the three driving modes on offer. 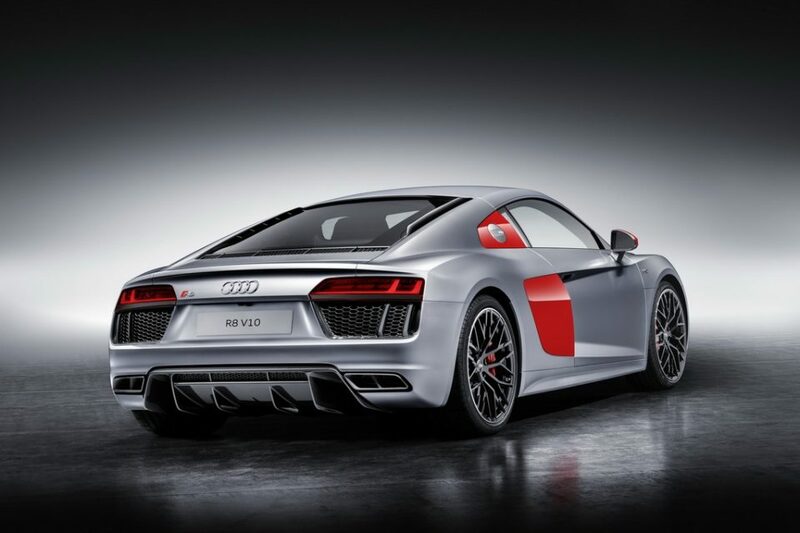 Despite the extensive cosmetic changes, mechanically it makes the same power and torque outputs as the regular R8 from the mid-mounted V10 engine. 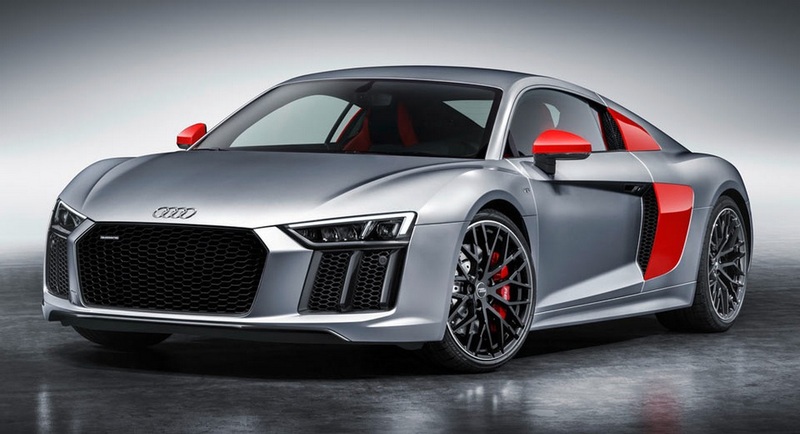 Prices for the Audi R8 Sport special edition have not been revealed yet but it is expected to come at a considerable premium over the standard R8. Deliveries are set to begin in late summer in the US.